The legendary sound of the TGA-3 lives on in this newest amplifier design by James Demeter. The TGA-2.1 Guitar Amplifier, totally restyled inside and out, offers the great TGA sound and versatility. 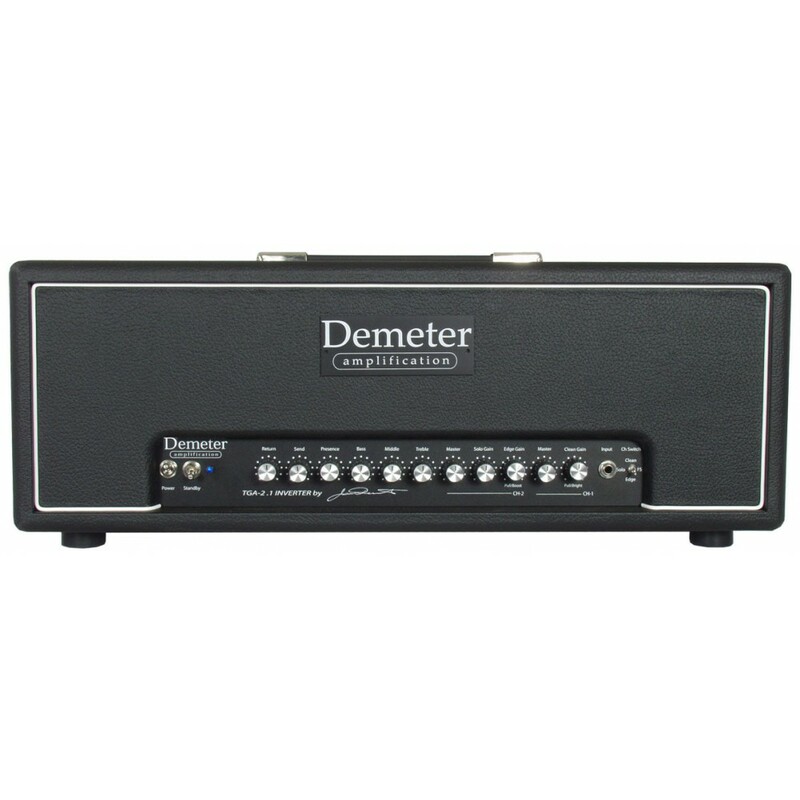 Offering a choice of both combo and amplifier head setups, and now available in both 50 and 100 watt configurations. 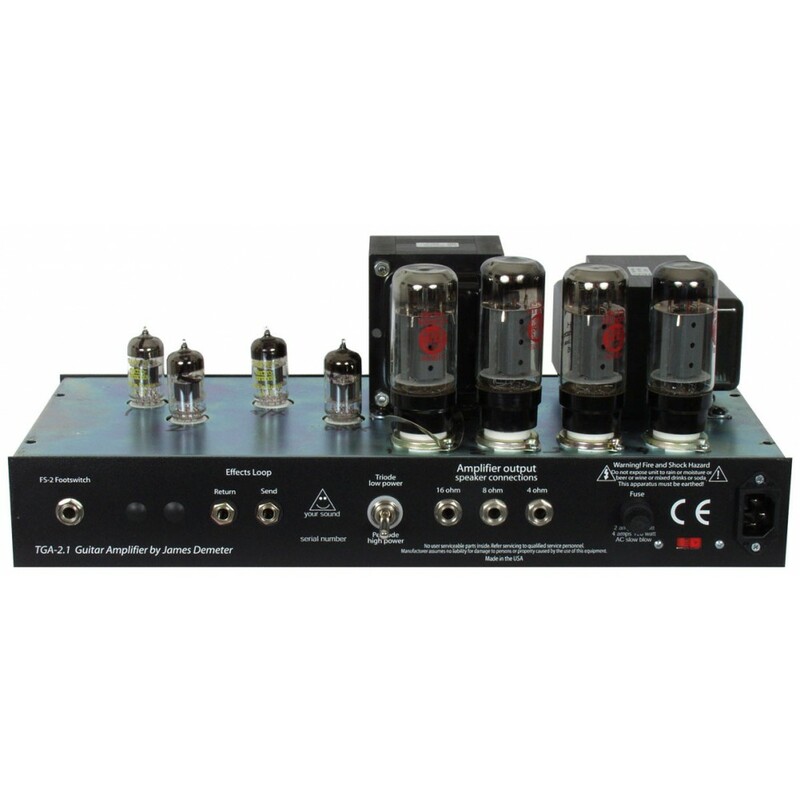 This unit represents over two decades of experience and research to build the perfect amplifier at an affordable price. 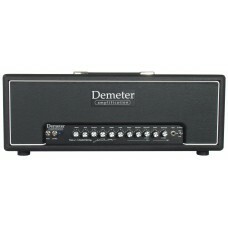 These amplifiers deliver the warmth and clarity of a vintage Fender amplifier as well as the crunch of a Marshall plexie and the searing lead sound of the legendary Demeter TGA-3. Our guitar amplifiers are used by Ben Harper, Sonny Landreth, Bonnie Raitt, John Hiatt, Ry Cooder, Mike Ward, Dean DeLeo (Stone Temple Pilots), Doyle (the Misfits), and Jack Frost among numerous others. Each amplifier is carefully hand wired using only the highest quality parts and tested at our factory in Templeton, California. You can see as well as hear the quality and attention to detail on both the inside and out. Stratocaster played through a Demeter TGA-2.1 50W Guitar Amplifier, recorded by a SM-57 close microphone and room microphone. Stratocaster in lead pickup position.